Every type of music is important in Pacific Palisades. It is the home of many professional musicians from all styles – rock stars; internationally famous classical musicians; composers; producers; music industry executives; etc. But there is also a very active amateur music scene here. Below is a small list of of the some of professional and amateur musicians, groups and music educators. Please contact us if your group wants to be included. Gregory Alper provides jazz combos for parties and special occasions. 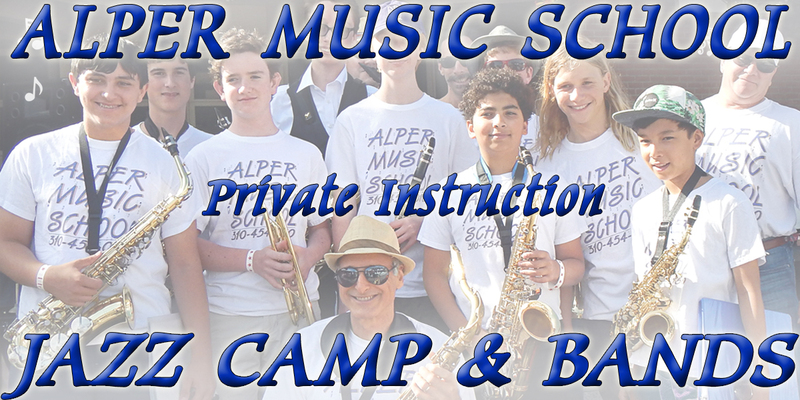 Alper has enjoyed a 4 decade career performing, recording, composing for film as well as teaching young musicians. He composed the music for the original Warcraft game. Alper spent years in the New York studio and gig scene. His Greg Alper Band cut one of the seminal jazz fusion albums FAT DOGGIE of the late 1970s, which was recently re-mastered at Abbey Road Studios in London and released on First Hand Records. In 2005 Alper began directing the Children’s Music Workshop Honors Orchestra Jazz Band in concert at Royce Hall. These televised concerts have garnered 3 Emmys! Rocky Dawuni is an international musician and humanitarian activist from Ghana, West Africa who is based between Pacific Palisades and Africa. 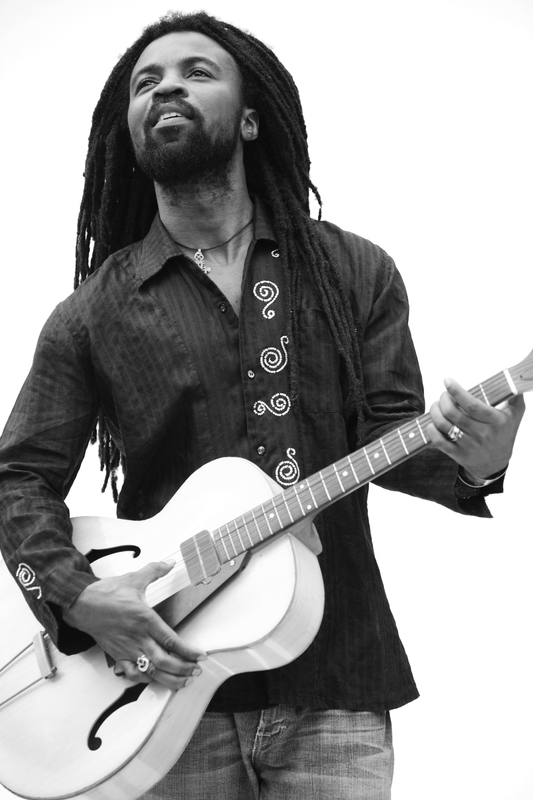 Often described as a cross between Fela Kuti and Bob Marley, he has released five acclaimed albums, thrilled audiences across the world with his fiery live performances and collaborated and performed with Stevie Wonder, Peter Gabriel, Bono, Jason Mraz, Janelle Monae and John Legend, among many others. Dawuni’s eloquence, cultural diplomacy and successful melding of music and activism have led him to become a passionate spokesperson for various global causes. He has joined forces with Product (RED), UNICEF, the Carter Center & the UN Foundation. In 2012, Dawuni was appointed the Tourism and Cultural Ambassador of Ghana and World Ambassador for the Musicians Union of Ghana. The same year, UN Foundation’s Global Alliance for Clean Cookstoves named him a global Ambassador, alongside Julia Roberts and Chef Jose Andres. He is also a distinguished member of the Global Alliance for Clean Cookstoves Leadership Council, which is chaired by Secretary Hillary Clinton and includes former President of Ireland, Mary Robinson and President Michelle Bachelet of Chile. In late 2013, he joined UN General Secretary, Ban Ki Moon at the United Nations Framework Convention on Climate Change in Warsaw, Poland, where he both performed for the delegates as well as spoke on various panels. Rocky is currently finishing up his eagerly anticipated new album and preparing for the summer 2014 touring season. He just returned from Doho, Qatar in mid June as he was invited to be key speaker on the Timbuktu Action Group which was part of the US World Islamic Forum seeking to reinstate the “Festival of the Desert” in the politically troubled nation of Mali. The House Band – a Palisades’ dads garage band. “If you’d like to see young parents transformed into hooligans before your eyes during a Witching Hour, these are your guys.” The House Band started in 2001. This band does rock covers and original songs, inspired by the Beatles, Rolling Stones, the Grateful Dead, Police, English Beat, Dawes, the Killers, Muse, REM, U2, Wilco, and all other great music since 1964 to date. The House Band has played the major clubs on Sunset Strip many times and is a popular West side bar band. The House Band is the perfect band for a fun backyard party. Phat Trick is a youth alternative/indie/classic rock/blues band based in Pacific Palisades, CA. We write and perform original songs influenced by various artists, including Led Zeppelin, The Black Keys, The White Stripes, Jimi Hendrix, Arctic Monkeys, and others. We have been playing together and writing music since January 1, 2015. We have played several shows and fundraisers in Los Angeles, including at the Whisky and The Mint, and love to play for live audiences. We all play multiple instruments and perform in our school rock and jazz bands in addition to Phat Trick. We released our first studio album, Edge of Today, on July 1, 2016, our second album, Live at the Whisky in March 2018, and have since put out several new songs. All of our songs have been posted to our site (www.phattrickband.com) and many are available on iTunes, ReverbNation, and Soundcloud. Check out our music and book us at your show. We will rock the house! Madi Rindge is a pop/soul singer songwriter, born and raised in Pacific Palisades. On April 1st, 2018, she released her debut EP Just One after its title track “Just One”, a song about self love and personal growth. Inspired by jazz and 90s r&b, Just One is Madi’s way of speaking up to and pushing back against a male-dominated society and industry. Born to a family with strong musical ties — her father is a Grammy award winning violinist — Madi has been surrounded by music her whole life, and started playing piano and singing at just two years old. It wasn’t until her parents’ divorce ten years later, that she started writing and using music as a way to process, express and communicate during a time when she felt alone. At Pali high, she had the chance to further explore her writing and performance in the safe and nurturing environment created by the wonderful choir teacher, Mr. Elson. While studying at New York University, Madi began releasing her first singles. “Summertime”, was picked up for film and tv placements, and her self-directed “Summertime” music video was selected to play on Ellen Degeneres’ EllenTube. It wasn’t until she graduated from New York University and headed back to sunny Los Angeles that she really started breaking into the scene after racking up a half million streams on her single “California” and was featured on Indie Shuffle. After a performance at the SoundCloud HQ in the fall of 2017, she was recognized as an ‘artist to watch’. Currently writing for independent and major label artists, Madi is also working on her own forthcoming album. She will be touring the west coast this fall so keep your eyes and ears open for dates TBA on her website at MadiRindgeMusic.com. 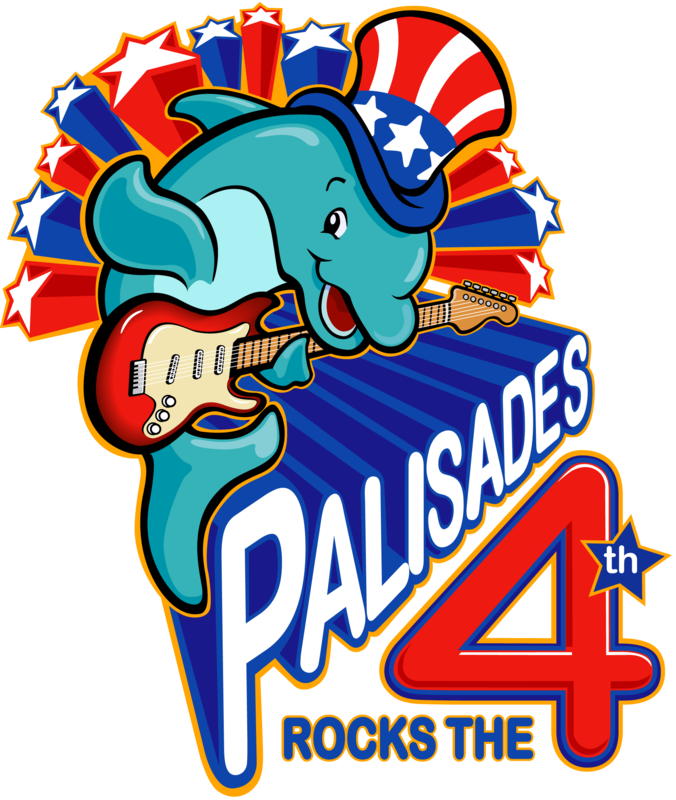 As a Palisades July 4th show alum with her high school band, Madi is excited to be sharing her solo project live with everyone at this year’s 4th of July celebration! Cohort – Based in Los Angeles, California, Cohort is a group of teenagers who create music that is new and exciting, yet still has sounds from their influences. Emilio Anamos on drums, Jack Ross on bass, Josh Lipp on guitar, and Tula Jussen on guitar and vocals are Cohort. Cohort was formed in December 2014 by bassist Jack Ross and guitarist Harry Clennon. Starting off with no name, no singer and several weeks of complete silence over chord changes, Tula Jussen joined as the band’s powerful new vocalist and rhythm guitarist. The band had its debut appearance at the Witzend in Venice, and continued to play shows there and at other venues throughout 2015 and 2016. Recently the group joined forces with jazz/funk drummer Emilio Anamos who has brought a new energy and dynamic to the group. Cohort began as a class at Sound Roads Music in Santa Monica where director Tom Farrell, the band’s manager/advisor/moral compass creates opportunities for the group to get out and perform like a professionals. Randy Chance has been part of the LA music scene for over thirty years, including being the lead guitarist for the Lovin’ Spoonful, the Boxtops, P. F. Sloane and others. He has been a musician since age six. He is currently performing, writing and recording and is popular in the West LA house concert scene. Randy is a popular Palisades teacher because of his positive focus teaching style and also because he gives lessons at Palisades’ students homes. He is the perfect teacher for students of all ages, from youngsters to adults. Many of his students have gone onto professional music careers. His students include Harrison Kipner, who, among numerous songs, has written the hit songs, “O.K.” and “Hey, Porsche” for the hip hop artist, “Nelly.” Beginning students become confident to really start learning music theory and many even start writing songs with Randy’s guidance. Starting lessons with Randy can ensure almost any student a lifetime of music playing and appreciation. Randy also teaches music at local schools. Prior to moving to Los Angeles, Randy taught music at Columbia College Center for New Music. Randy has a digital recording studio at his Topanga Canyon home, including Pro Tools software, where he has composed six feature film scores. He is presently recording a blues album in his studio consisting of all original songs. Trinity Rose is a beautiful and award-winning teen singer/songwriter/musician with a pop bluesy sound and a heart of gold. She donates her vocal talent to great causes like the homeless, local schools and hospitals and summer camp for inner city youth. In May 2015, Trinity recorded and released her first record at 12 years old, an EP of 4 songs called ‘Sign in The Sky’. Her cover song of ‘In The Pines’ beat out over 7,000 entries in Unsigned Only’s Fandemonium 2015 international music competition. Trinity won her first International unsigned singing competition when she was just 12 years old. She was recently selected as the youngest female contestant ever on the reality TV series, NBC The Voice, beating out 40,000 other artists during casting. She has also been asked to be a contestant on American Idol this fall. Trinity is the youngest ever to attend Grammy Camp in Los Angeles last year. She has made many vocal appearances including singing ‘God Bless America’ for the 25,000+ participants at the LA Marathon and Mayor Eric Garcetti on Valentines Day, 2016 and starred in the ‘on-course’ entertainment of 2016 USATF Olympic Marathon Trials. Trinity Rose performs solo weekly at Malibu Music Nights in Zuma Beach. She is trained by vocal coach, Beth Andersen, in her hometown of Pacific Palisades. Trinity Rose is available for music festivals, National Anthem renditions, charity concerts & special events. She plays larger festivals with her lead guitarist, Chris Nordlinger. She has a family friendly repertoire and can play sets with 2/3 song covers from 20 minutes to 2 hours. ‘Leap of Faith’, Trinity’s first original song, was released January 2016 on all online music sites, including iTunes and Spotify. Arielle Martinez Cohen is a 16 year old singer, songwriter, and producer from Pacific Palisades. She has been working in the music business since she was nine years old, singing back-up vocals for artists such as Macklemore, Imagine Dragons, Frank Ocean, Foster The People and Linda Perry, and appearing on the Jimmy Kimmel Show, Conan O’Brien and The Talk, among others. At 13, she started to write her own songs, and at 15 she was selected to attend Grammy Camp for Songwriting. In January of this year, her song, “Two Minutes to Midnight” was used by The Bulletin of the Atomic Scientists in their announcement of the Doomsday Clock, and in March of this year, she sang her song “Why” at the March For Our Lives rally in downtown Los Angeles in front of 200,000 people. This led to interviews on Buzzfeed News and ABC 7 News, which, in turn, led to her being selected by Instagram for their #captureconfidence campaign, featuring teen girls who are using their talents to affect positive change. The campaign was launched on Good Morning America with the release of the book Confidence Code for Girls. Arielle will also be singing at a gun control rally in downtown Los Angeles on June 12th, and will be singing at a Youth Climate March in Washington DC on July 21st. To complement her singing, songwriting and producing, Arielle plays the piano and guitar, and is also a talented dancer. In addition, she’s a straight A Honors student at her high school, New West Charter. The Terraplanes have been performing urban and Chicago blues in the LA area and beyond since 1990. Bassist Tom Hofer grew up in the Palisades and worked here for 30 years. In 1994 he met Terraplanes frontman, Biff Tate, when they both worked at the Palisadian-Post, and joined the band a few y ears later.